This is a magnificent country, a travel to which will leave many unforgettable memories. 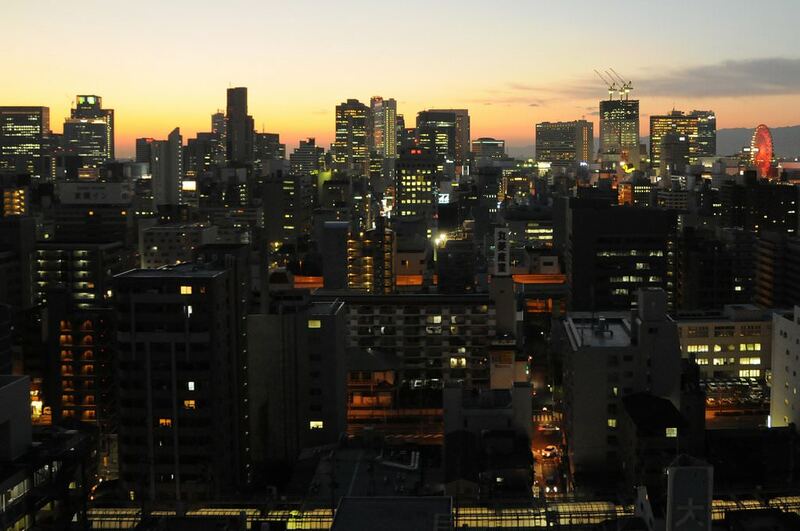 While describing numerous excursions and entertainment, it’s simply impossible to fail to mention Tokyo. In this wonderful city, shiny skyscrapers border with various museums, temples and memorials. 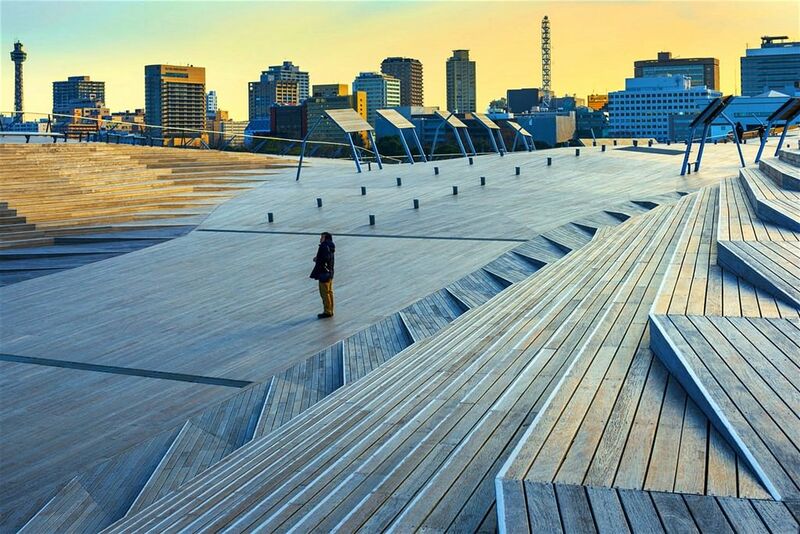 Naturally, there are many modern entertainment complexes and parks in the capital of Japan. The Emperor’s Palace is an important historic and architectural sight of the capital. 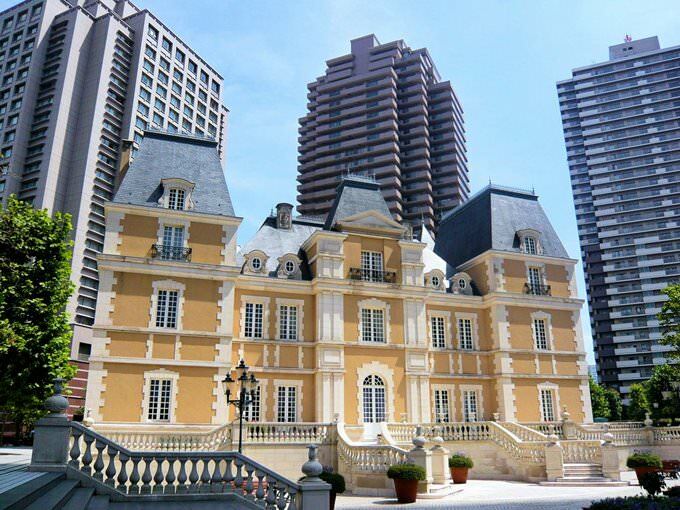 The palace is also known under the name Edo Castle. Elegant towers, heavy wooden doors and foss on the perimeter show how solid and impenetrable the building is. The Kokyo Palace, which was built in the 15th century, is located among beautiful parks. Once you observe spacious halls and corridors of the palace, take a walk in Kitanomaru Park to enjoy the view of centuries old trees and ancient statues. Many interesting places can be found in Tokyo suburbs. Travellers with kids will enjoy a visit to Tokyo Disneyland that was open in 1983 and looks close to the original amusement park in the United States. 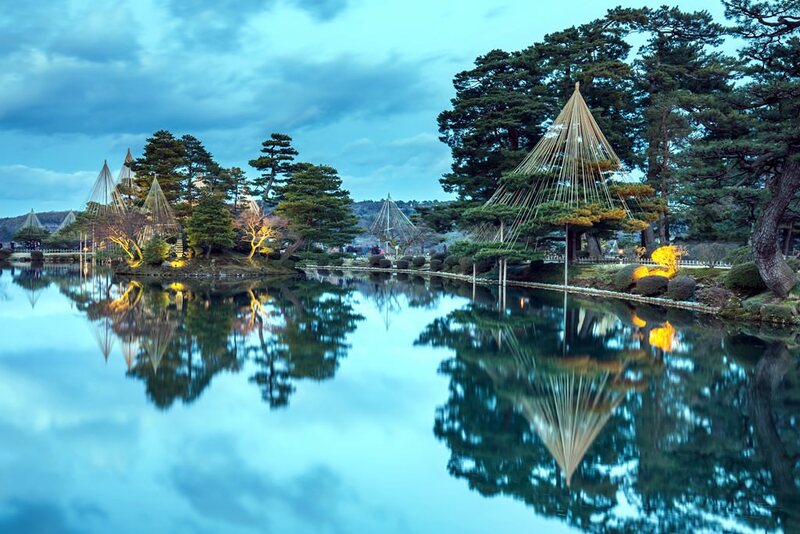 Fans of nature landmarks will fall in love with Nikko National Park, where they will find beautiful lakes, waterfalls, ancient temples and forests. Yokohama is known as the most modern city in the country, but its main landmark is, however, a historic one. It’s Sankeien Garden, which has become home to numerous ancient wooden buildings, houses and temples that were brought to the park from different parts of the country. Fans of active rest will find much fun in Hakkeijima Sea Paradise. The complex includes an aqua park and a big Marine Museum. The city of Nara is rich in ancient temples. Many temples keep precious relics, and local museums exhibit collections of unique historic artefacts. 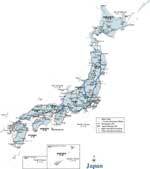 The first country at the site of modern Japan is mentioned in the Chronicles of Hanshu dating back to the 3rd century BC. At that time, the country was called Wa. In the 6th century AD, Buddhism started to be preached in the country, exactly at that period, the first centralized state was formed. Already in the 8th century, in the islands, there was a powerful and rapidly developing country, the capital of which was Heizei-kyo. The country borrowed many religious and cultural aspects from neighboring China. The first centuries of its existence were full of multiple internecine wars. In the 13th century, the country saw the Mongolian invasion. The turning points in the history of the country were the events taking place in 1543. At that time, Portuguese navigators first reached the Japanese coasts. By the middle of the 16th century, Japan started to establish trade relations with many other European countries, which facilitated its rapid development. 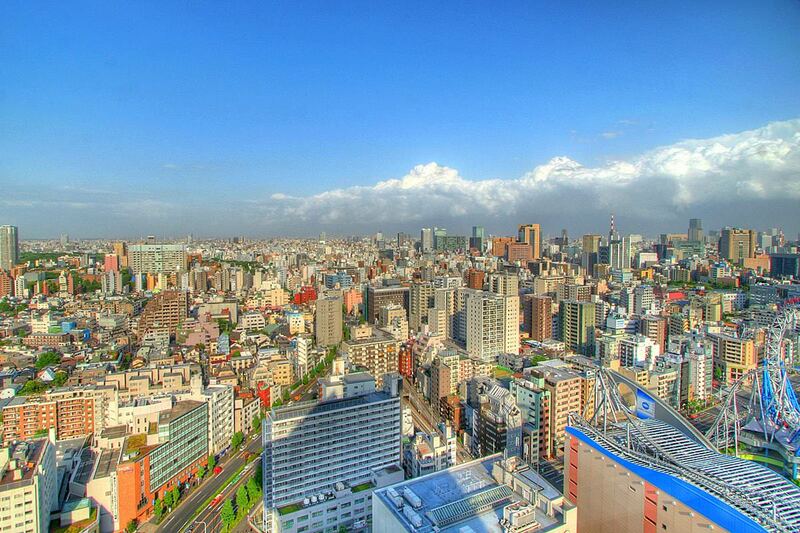 Japan is one of a few countries that have been maintaining its independence for almost all years of its existence. It is interesting to vacation in Japan in any season. On its territory, there are popular and famous beaches, famous ski resorts and several upscale wellness resorts. Some of the most landscaped and most beautiful beaches are located in Okinawa. In the city, there are also multiple water parks, an oceanarium and a dolphinarium. In Okinawa, there is a large thalassotherapy center where you can have different types of massage as an important component of your health recreation. The most popular resorts for winter recreation is Sapporo and Niseko. They are distinguished by a high level of the routes and a wide variety of hotels. At these resorts, there are excellent conditions for skiing and snowboarding. You can also visit here several thermal springs. The majority of winter resorts are suitable for family holiday. There are ski schools not only for adults, but also for kids. During the year, over 200 holidays are celebrated in Japan. Most of them are connected with old religious traditions. Each region of the country has its unique festive traditions. One of the most interesting and beautiful holidays is the Cherry Blossom Festival. It starts to be celebrated in the middle of March. In Japan, cherry blossoms stop blooming in the middle of April. This article about iconic landmarks and sights of Japan is protected by the copyright law. You can re-use the content, but only under the condition of placement of an active link to www.orangesmile.com. In Tokyo in a student quarter, you can see an unusual glass building. It is a campus of the Kanagawa Institute of Technology. 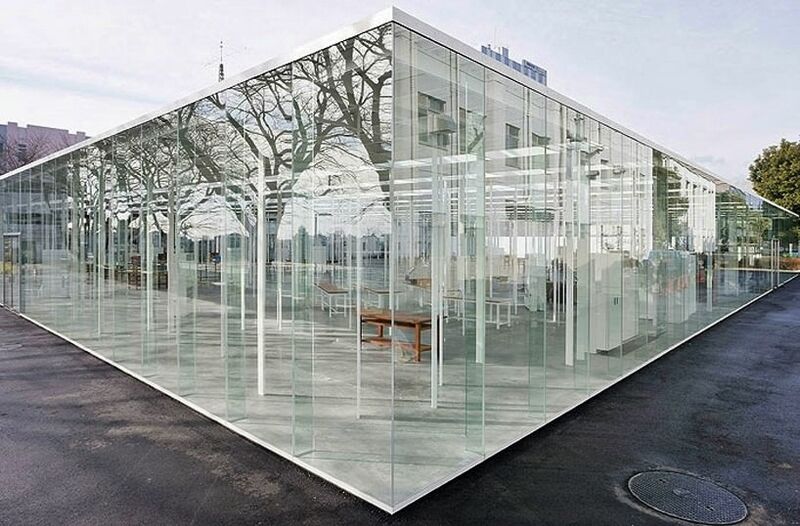 Junya Ishigami has graduated from the institute and became an author of this building. He with a help of modern architects brought to life this unique project. This building in Tokyo is one of the most transparent in the world. Kyushu Island has a huge Aira Volcano. Its length is 23 kilometres and 17 kilometres width. According to the scientists’ research, this caldera has appeared about 22 000 years ago after a tremendous volcano explosion. Even now the volcano is quite dangerous for the planet. 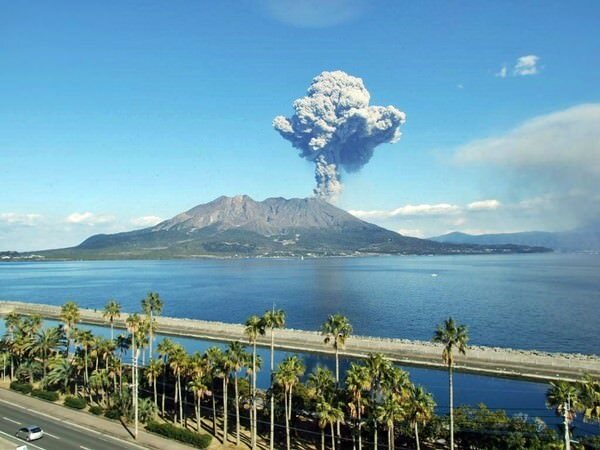 On the territory of the caldera is placed Kagoshima town, not far from it you can see a young active composite Sakurajimais volcano. 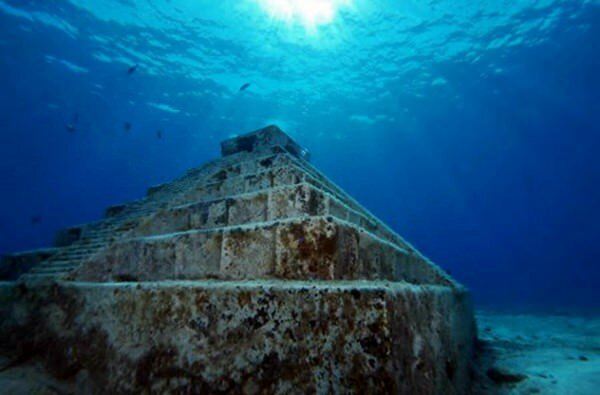 Pyramids of Yonaguni is another mysterious place in the world. They were discovered near the so-named Japanese island. Its area is about 28 square kilometers, also it has a resident number of population – about 2 000 people. For years this small island was attractive for divers, and fans of beach vacation. In 1980s the group of divers have discovered the complex of drowned rock terraces.